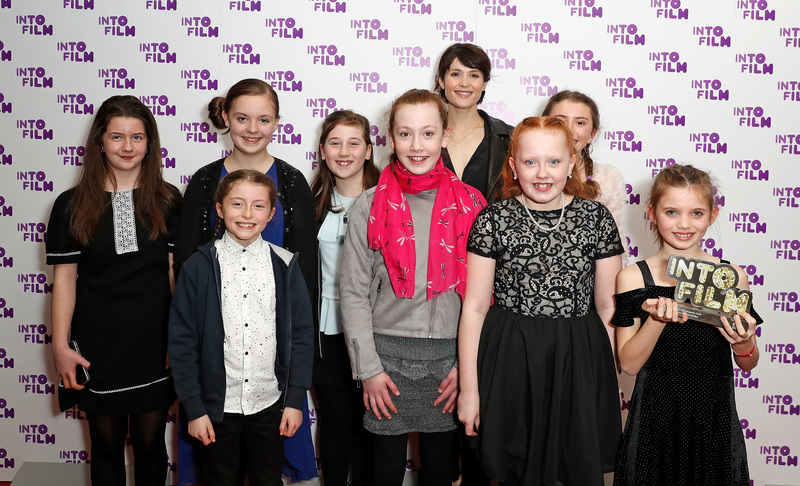 Young Welsh filmmakers have today beaten off stiff competition from across the UK to win two coveted awards at the 4th annual Into Film Awards in the BFI in London. Students from Coleg Sir Gâr in Llanelli, Camarthenshire, won CLUB OF THE YEAR (13 AND OVER), while Dyffryn Nantlle Film Club, in Gwynedd, won BEST LIVE ACTION (12 AND UNDER), with their frightening Welsh language horror short ‘Swyn’. The third nomination from Wales – Teacher Tim Dadds of Cwmrhydyceirw Primary School – narrowly missed out on the award for ‘Educator of the Year’. Hosted by Into Film and supported by the BFI through Lottery funding, the nominees were honoured at a star-studded red-carpet ceremony at BFI Southbank. Coleg Sir Gâr were praised for their student-run club, for offering an inclusive, supportive learning environment, while ‘Swyn’ was commended for its all-female, all-Welsh production. The Awards pay tribute to outstanding 5- to 19-year-olds from across the UK who have demonstrated exceptional achievements in filmmaking and film reviewing. Hundreds of young people from across the UK submitted their own short films and film reviews, with nominations exploring a wide range of themes and issues including bullying, history, and immigration. The award-winning members of Coleg Sir Gar’s Into Film Club are aged between 16 and 19 years, and run their film club entirely by themselves. They have created an inclusive, supportive learning environment where young people with a wide range of abilities and backgrounds can meet to enjoy and discuss film. The club members also make and show their own films, and have been fortunate to visit film studios in South Wales, attend industry events and meet world-class talent from across the UK as part of their Into Film Club activities. Award-winning film ‘Swyn’ sees two young girls struggling for money turning to desperate measures when they hear of an old doll that’s worth thousands of pounds sitting in an old house. Embarking on a mission to retrieve the doll, the girls might come to wish that they’d left well enough alone. Dyffryn Nantlle Film Club’s winning entry is an all-Welsh production, and was made by an all-female production crew made up of eleven young filmmakers: congratulations to Elsi (aged 9); Manon (10); Danielle (10); Becca (11); Llinos (11); Betsan (12); Begw (12); Elan (12); Betsan (12); Megan (12); and Gwenno (13). 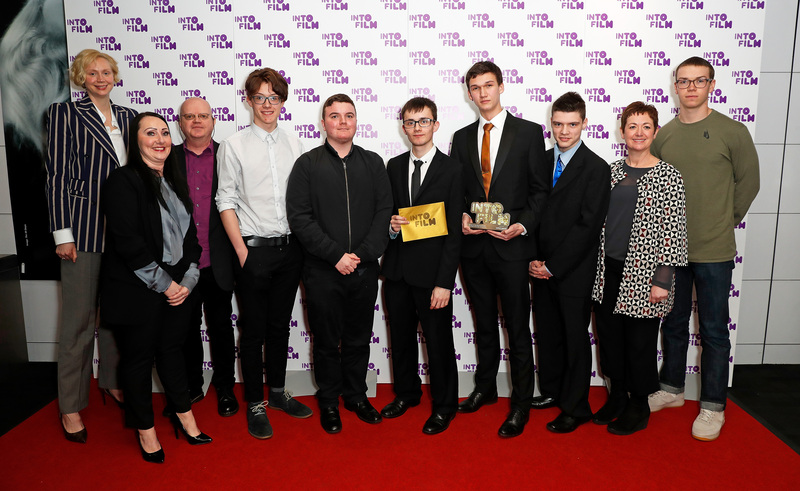 All winners were selected by a panel of industry leaders including Barbara Broccoli (Bond franchise) Jamie Bell (Billy Elliot), Peter Lord (Aardman Animations), casting director Lucy Bevan and director Ben Wheatley (Free Fire). Awards across 11 categories were given to a range of youngsters aged 9- to 19-years-old. The event was hosted by TV & Radio presenter Gemma Cairney. Stars handing out the Awards included Martin Freeman (The Hobbit, Black Panther) Gwendoline Christie (Star Wars, Game of Thrones) , Will Poulter (Detroit, The Revenant, The Maze Runner), Hayley Squires (I, Daniel Blake, Collateral), Craig Roberts (Submarine), Kevin Guthrie, Rhianna Dhillon, Ellie Kendrick, Hermione Corfield, Alexa Davies, Fionn O’Shea, Georgina Campbell, Rosie Day, Susan Wokoma (Chewing Gum), Katie Leung (Harry Potter), Tomiwa Edun, George Mackay (Pride, Captain Fantastic).